Texas is built on community. 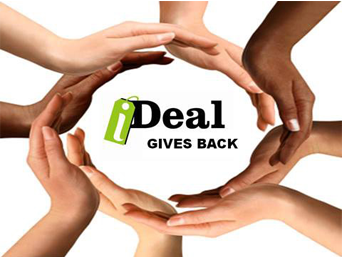 At iDeal Floors we believe in helping others by extending what we can to support members of our community, and that involves providing support that starts in the home. Home is always where the heart is and where real change and inspiration for families in need begins. Our community program grants a free floor (up to $1,500 in value) to a deserving family on the recommendation of others. We have helped many families in the Dallas Fort Worth area by providing this service and will gift a free floor monthly as our way of giving back to our community. Do you know someone who is in desperate need of quality flooring for their home in Dallas Fort Worth? Nominate them for our ‘iDeal Floors Gives Back’ program and help us to create positive change and make a difference for local families. 1. Please fill the application form online. 2. Submit the form and we will get back to you soon. You must reside in and own the home that you want floored. You may apply for your family or nominate a family that you know. If you are a finalist, a representative from iDeal Floors will arrange to visit your home. You must live in the immediate Dallas Fort Worth area.